We are planning to screen the film in Jewish venues and on college campuses across the country — to galvanize Jews and all decent people to come to the defense of Jewish students on campus. or hosting a fund-raiser in your home. Many in the Jewish community have heard that there are “problems on the campus,” but few know about the true nature and extent of the assault on Israel and Jewish students. We produced the film to raise awareness and provide a more comprehensive understanding of the increasing hostility toward Jewish students on college campuses. Hate Spaces has been screened in over 60 different venues across the country to both Jewish and Christian audiences, in synagogues, JCCs, movie theaters and churches. The response from audience members is both emotional — including anger and concern — along with a motivation to take action. At the screenings, we suggest specific actions to be taken. The film is part of a national campaign to educate the and mobilize the Jewish community and the American public to respond effectively to the increasing hostility toward Jewish students on college campuses. "Hate Spaces is a wake up call to the Jewish community and to civil society in America about the institutionalization of bigotry on college campuses." "Hate Spaces is a film every American needs to see. It is alarming to see the tolerance of anti-Semitism in higher education." "Hate Spaces is an essential and timely film. Responding to this phenomenon requires a deep and honest analysis of its causes. Hate Spaces does this meticulously, thoroughly, and grippingly." 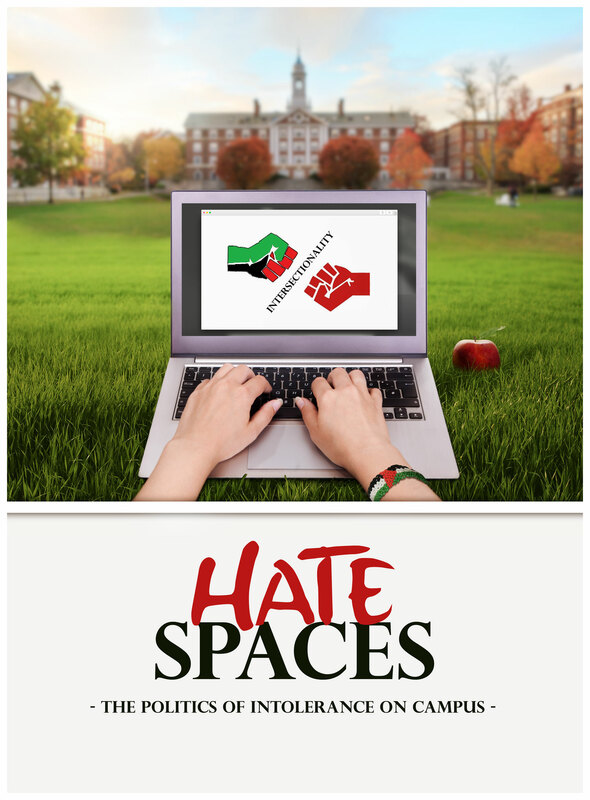 "Hate Spaces is a powerful and insightful documentary that should waken all Americans to end the campus’ Judeophobic problem before tragedy strikes." "Hate Spaces is an exceptional film that brings to life the hostile environment for Jewish students on campus, and the failure of university leadership to live up to its proclaimed values."